Nearly 1.5 million people in the U.S. suffer from rheumatic diseases like arthritis, and another 8 million men and women have gout, which are both forms of inflammatory arthritis. 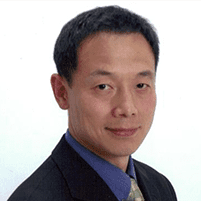 Hao Zhang, MD, Ph.D., of Edison Wellness Medical Group in Edison, New Jersey, is an expert at diagnosing and treating patients with these painful rheumatic diseases, as well as lupus and fibromyalgia. If you experience swelling and pain around one or more joints, call or schedule a consultation with Dr. Zhang using the online booking tool. Rheumatoid arthritis (RA) is a painful autoimmune disease wherein your immune system mistakenly attacks your joints, causing inflammation, swelling, difficult movement, and pain. When RA is left untreated, the swelling and inflammation can damage the cartilage and (eventually) the bones around your joints. Since RA is an autoimmune disease, it can affect every system in your body. Symptoms often include tender, swollen joints and joint stiffness, and sometimes fever, fatigue, and weight loss. Women between the ages of 30-60 are more likely to develop RA, and the disease puts them at higher risk for other illnesses, including lung disease and lymphoma. There is no cure for RA, so the treatment goals include reducing inflammation, relieving symptoms, and preventing damage to your body. Dr. Zhang may prescribe nonsteroidal anti-inflammatory medications and corticosteroids, disease-modifying antirheumatic drugs (DMARDs), and other RA medications. In more severe cases, you may need surgery to replace affected joints. Like RA, gout causes painful inflammation in your joints. Gout typically comes on as a severe, sudden attack in your joints that causes swelling, redness, and tenderness. Typically, you experience these symptoms in your big toe, making walking painful. A gout attack can feel like the affected joint is on fire — the pain is extremely intense. Unlike RA, gout is not an autoimmune disease — it occurs when urate crystals accumulate in your joints. Urate crystals form when you have a high level of uric acid in your blood, often due to a diet rich in meat, seafood, high-fructose beverages, or alcohol — especially beer. Gout symptoms can be controlled with medication and self-care with ice and rest. Nonsteroidal anti-inflammatory medications can help reduce swelling and pain in your affected joints. Dr. Zhang may prescribe medications that reduce inflammation and pain, as well as those that reduce uric acid. You can take preventive measures for gout attacks such as staying hydrated and changing your diet. Lupus is a systemic autoimmune disease that can affect your skin, your vital organs, or both, depending on the type of lupus you have and the severity of your condition. Lupus may also inflame or damage the connective tissue in your joints and muscles, and it can do the same to the membranes that surround your lungs, heart, kidneys, and brain. Approximately 9 out of 10 people who have lupus are women, typically between the ages of 15 and 44. Since no single test can diagnose lupus, Dr. Zhang runs a series of tests to determine the type of lupus you have and how it is affecting your organs. Treatment depends on your symptoms, condition, and how often you have flare-ups. Dr. Zhang may prescribe nonsteroidal anti-inflammatory drugs, antimalarial drugs, corticosteroids, or immunosuppressants to help control symptoms of the disease. Fibromyalgia is another type of rheumatic disease that Dr. Zhang specializes in diagnosing and treating. The most common symptoms include widespread joint pain and fatigue — leading to frequent misdiagnosis since it’s hard to decipher from other conditions. In most cases, the best course of treatment for fibromyalgia symptoms is medication and self-care. Dr. Zhang emphasizes the importance of minimizing symptoms and improving your overall health so you feel better and experience less pain. Pain-relievers, antidepressants, and anti-seizure medications have all been effective in treating some fibromyalgia symptoms. Additionally, physical therapy and counseling may also be beneficial to those dealing with fibromyalgia. Dr. Zhang specializes in diagnosing and treating a variety of rheumatic diseases that affect your joints and autoimmune system. If you experience any of these painful conditions, call or schedule a consultation online today.